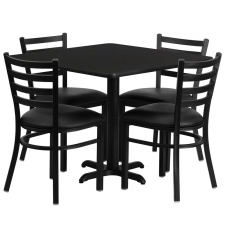 Starting At $406.99 + Free Shipping! 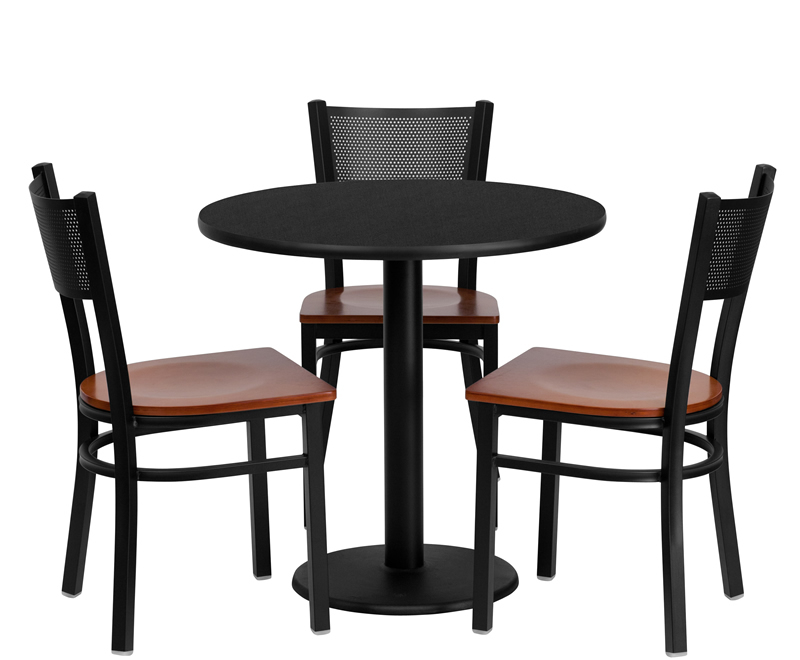 When you are furnishing your office's common areas, it's nice to give your employees a comfortable place to eat and chat. 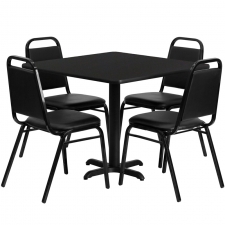 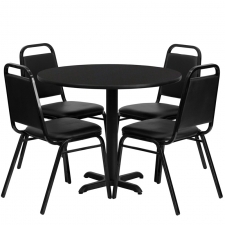 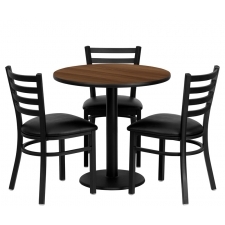 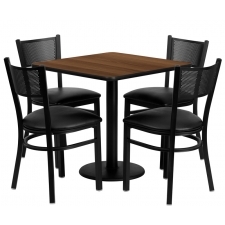 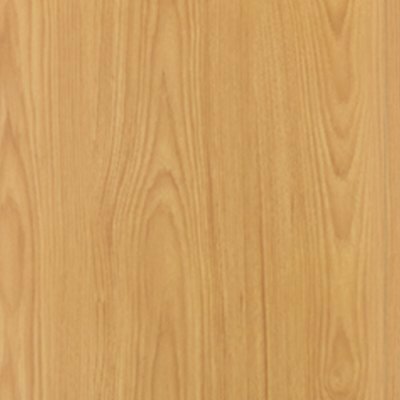 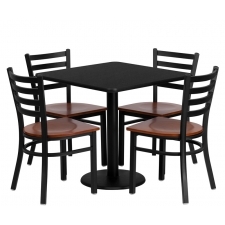 The BTOD 30" Round Top Dining Height Breakroom Table comes with four stylish grid back metal chairs and adds pizzazz and comfort to your office. 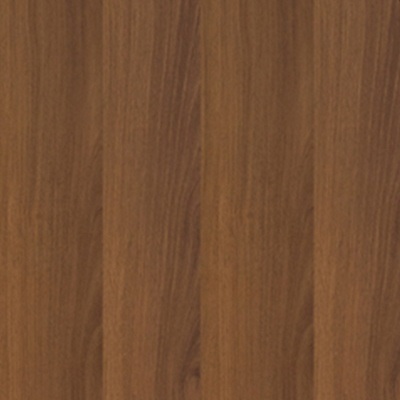 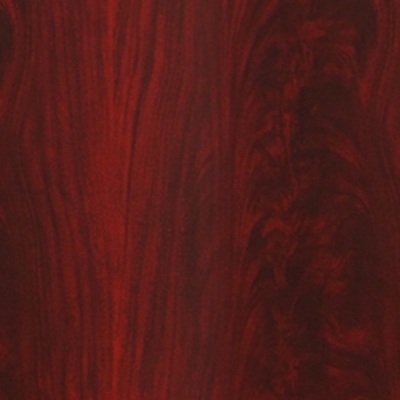 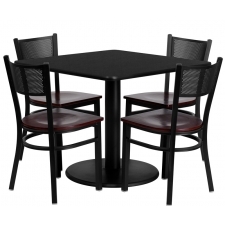 The chairs offer a black powder-coated finish with a beautiful cherry seat. 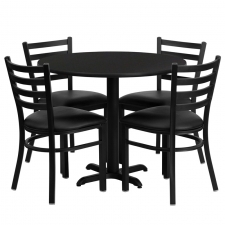 For the table, you can choose between a round or X-shaped base, as well as a tabletop that is black or one of several wood finishes. 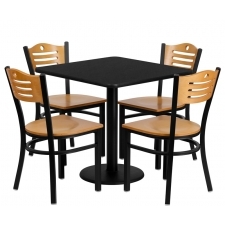 No matter which design choices you make, you can trust this set's sturdy cast-iron construction will last for years.